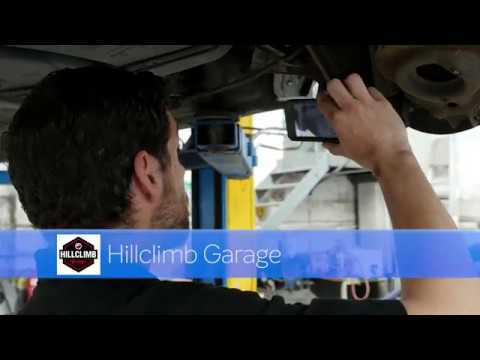 Hillclimb Garage is an independent family run business with passion and dedication at its core. We are experts in used cars and are thrilled to offer our customers a vast range of models from the UK’s most loved brands. From Ford to Nissan, Honda to Volkswagen. Surprisingly we are one of the busiest independent garages for miles around because of a few trade secrets that we know..... all of which revolve around looking after you the customer, very well indeed. If you are looking to buy a car we can help you towards your perfect model - if we haven't got it we will find it for you. We can accept your car in part exchange and we have a great reputation for arranging finance quickly and efficiently. We will help you tax your car online and with drive away insurance you can be going home in your new motor on the same day! We do a comprehensive 85 point pre-sale check (which is stricter than the AA and RAC) and so can offer a very generous 6 months warranty on most of our cars - check around..... this is rare! We have a comprehensive Service, MOT and Repairs Aftersales Centre and approved by Trust My Garage as full members. This gives you the peace of mind that we operate within a strict code of conduct. Very strict, but we are still allowed to smile. Happily we are really competitively priced and will beat main dealers every time on price. 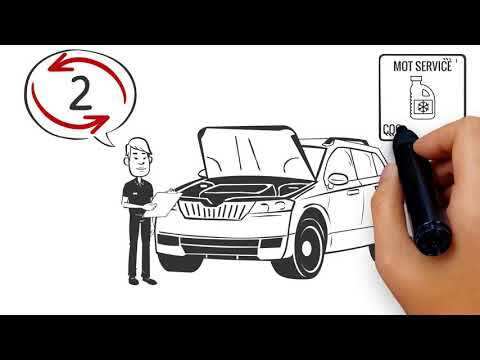 We provide a super reminder service for MOT's and service to keep you on the road safely and legally every year. Every car that comes through our workshop gets a FREE video report so that you can benefit from the latest technology and trust that your car is getting just what it needs and no more. We are always on hand to give impartial advice about your car and spend quite a lot of time each week doing so - particularly for our local residents in Downley. We offer a free local collection and drop off service for your car, we have a small fleet of courtesy cars or can drop you locally once you have dropped your car into us. Whatever it is, we can help - we know how inconvenient it is to be off the road for even a few hours so we are happy to keep you rolling. We look forward to meeting you soon, or welcoming you back to us as a valued customer. We are incredibly proud to announce that we have been awarded the coveted title of Garage Of The Year at the recent Automechanika show in Birmingham. Supported by the Independent Garage Association, we won the battle for top spot after much deliberation by the judging panel, James Onions (Garage Wire), Andy Savva (The Garage Inspector), Stuart James (Independent Garage Association) and Simon Albert (Automechanika Birmingham). High Wycombe - Small Business Of The Year - Bill Bendyshe-Brown Award - Congratulations to Our Team! We are very proud to announce that we have been awarded the Bill Bendyshe-Brown Award for SME Enterprise Excellence at the Buckinghamshire Business Awards, in May! We are thrilled - our team is truly dedicated to growing our garage through Excellent Customer Service, bringing new technology and a fresh approach to the experience of bringing your car to a garage, or buying your next car. We look after you all the way through and this accolade brings an amazing level of recognition to all the hard work that has gone in so far. Each of our team brings their own individual talents and dedication to their role and we are very proud of our company indeed. Lastly a big thank you to all of our Customers for providing feedback to us along the way - telling us what aspects of our service they really appreciate and showing us ways that we can improve further. And for all the support and recommendations that we have had, bringing new customers to our door every single day. Thank you all.